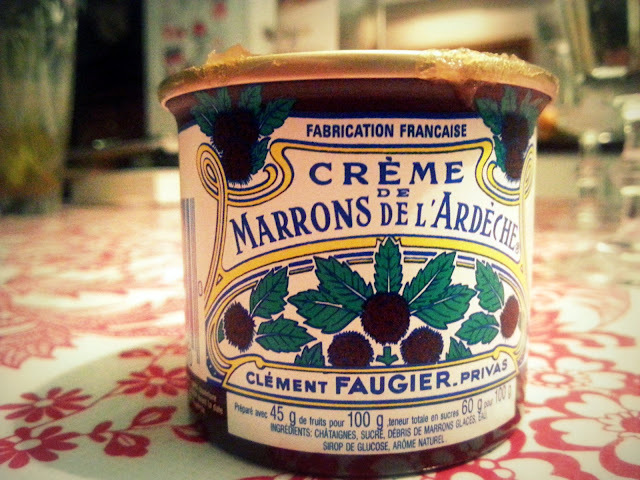 ParisDailyPhoto: Crème de la crème... de marrons! @Jeff- The texture is very different to peanut butter and the flavour is really different as well. If you see the top bit of the can on Eric's picture- it looks like sticky jam.. It's pure sugary yum! will put it on my list of things to try when I visit again, scheduled for May. Sunday will be a day in the snow for me as CT was hammered from the blizzard. My town got about 30". love the packaging colors on the jar. Oh, that sounds interesting! Something new to search for on my next trip in the spring. What is it mainly used on I wonder - crepes? We are in for snow tomorrow - but not 30 inches, just six. In a word—miam! Good news for Americans who just must have some of this delish stuff. You can get it online (in a can though) from Frenchy Bee. 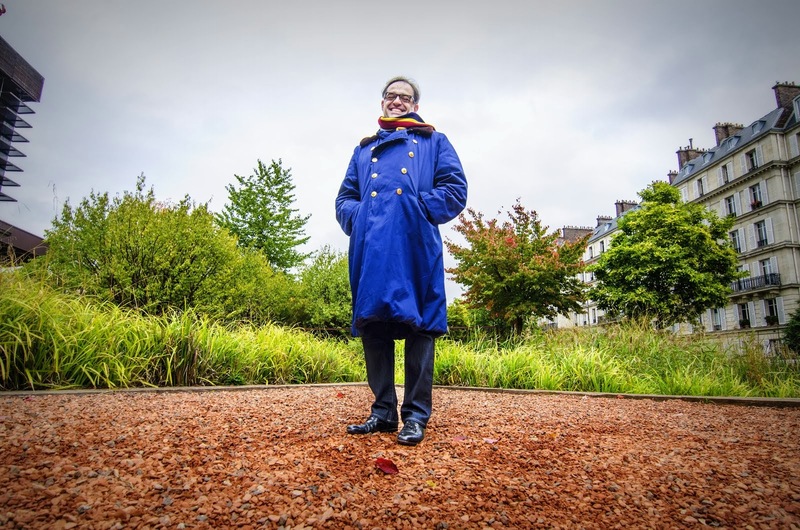 Hey, Mpls Loves Paris, when will you be there? Eric, I have to tell you that we were always able to buy it at Publix in Florida, where Shopping Is A Pleasure! 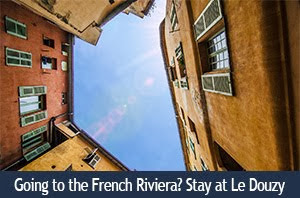 traveling to France to sample some - sounds like a great plan to me! Thanks, on the beach here in San Francisco -- you have a wonderful Sunday too. Nice "cuisine art" photo Eric. I am sure it tastes good spread on a hot buckwheat crepe but nothing beats biting into a whole marron glacé! Not that I wouldn't love to hop on a plane and come to Paris, but I searched on Amazon and they sell it, too. Thanks for the suggestion - I'll give it a try. I can't believe they sell Crème de Marrons on Amazon!! But why not after all? I would have never thought of that though. As for PHX's comment "Eric, I have to tell you that we were always able to buy it at Publix in Florida, where Shopping Is A Pleasure!" I don't believe a word of that - not that shopping at Publix is not a pleasure!, but I doubt very much they have Crème de Marrons in Florida!! Ujima, thanks for the address too BTW, I did not know this site. @Jeff yes like Lexie says " The texture is very different to peanut butter and the flavour is really different as well." I'll have you eat some at the PDP picnic, when you come! And it's awesome in a flourless chocolate cake. Eric, I didn't realize this was hard to get, having bought it at my local supermarket. So, it probably just depends on the buyers for each store. I love the old time label as well as the taste! Jeff - I will be there in May (11-18)! Ma petite histoire - I found it also, enfin! My first trip to my pretty Paris, came up empty handed, I went into so many shops, the shop assistants did not know what I was taking about, I kept saying, les marrons in a tube. . . . they brought me tinned boo hoo sniff sniff, I said NON! Being Hungarian and aussi Francophile, bien sûr, I love chestnuts, any kind. Finally second trip, I found! goodness moi, tubes and tubes and tubes at Monoprix in Neuilly-Sur-Seine, and après all over, I lost count, and then Geronimo, here in my own supermarket in Sud Af as a once-off. I have stock till my next Frenchie trip. That logo and company are part of my memory bank, embedded in my Blonde brain forever, nothing will ever erase it. And oui, délicieux. I smiled so much when I read this, merci Éric, I love to read you!